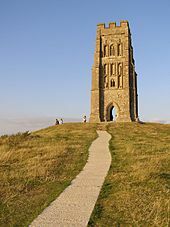 There are over 670 scheduled monuments in the ceremonial county of Somerset in South West England. The county consists of a non-metropolitan county, administered by Somerset County Council, which is divided into five districts, and two unitary authorities. The districts of Somerset are West Somerset, South Somerset, Taunton Deane, Mendip and Sedgemoor. The two administratively independent unitary authorities, which were established on 1 April 1996 following the breakup of the county of Avon, are North Somerset and Bath and North East Somerset. These unitary authorities include areas that were once part of Somerset before the creation of Avon in 1974. A scheduled monument is a nationally important archaeological site or monument which is given legal protection by being placed on a list (or "schedule") by the Secretary of State for Culture, Media and Sport; English Heritage takes the leading role in identifying such sites. The current legislation governing this is the Ancient Monuments and Archaeological Areas Act 1979. The term "monument" can apply to the whole range of archaeological sites, and they are not always visible above ground. Such sites have to have been deliberately constructed by human activity. They range from prehistoric standing stones and burial sites, through Roman remains and medieval structures such as castles and monasteries, to later structures such as industrial sites and buildings constructed for the World Wars or the Cold War. Dundas Aqueduct carries the Kennet and Avon Canal over the River Avon and the Wessex Main Line railway. It was built by John Rennie between 1797 and 1801 and completed in 1805. Bath and North East Somerset (commonly referred to as BANES or B&NES) is a unitary authority created on 1 April 1996, following the abolition of the County of Avon. Bath and North East Somerset occupies an area of 220 square miles (570 km2), two-thirds of which is green belt. BANES stretches from the outskirts of Bristol, south into the Mendip Hills and east to the southern Cotswold Hills and Wiltshire border. The city of Bath is the principal settlement in the district, but BANES also covers Keynsham, Midsomer Norton, Radstock and the Chew Valley. BANES has a population of 170,000, about half of whom live in Bath, making it 12 times more densely populated than the rest of the district. There are 58 scheduled monuments in Bath and North East Somerset. Some of the oldest are Neolithic including the Stanton Drew stone circles and several tumuli. The Great Circle at Stanton Drew is the second largest stone circle in Britain (after Avebury); it is considered to be one of the largest Neolithic monuments to have been built. The date of construction is not known but is thought to be between 3000 and 2000 BCE which places it in the Late Neolithic to Early Bronze Age. There are also several Iron Age hill forts such as the one at Maes Knoll, which is connected to the Wansdyke a medieval defensive earthwork, several sections of which are included in this list. The Romano-British period is represented with several sites, most notably the Roman Baths and city walls in Bath. More recent sites include several bridges which date from the Middle Ages to the Palladian bridge in Prior Park Landscape Garden and Dundas Aqueduct which was built in 1805 which is the most recent site included in the list. St Michael's church on the summit of Glastonbury Tor. Mendip is a local government district which covers a largely rural area of 285 square miles (738 km2) ranging from the Mendip Hills through on to the Somerset Levels. It has a population of approximately 11,000. The administrative centre of the district is Shepton Mallet. There are 233 scheduled monuments in Mendip. These include a large number of bowl and round barrows and other neolithic, Bronze and Iron Age tumuli such as the Priddy Circles and Priddy Nine Barrows and Ashen Hill Barrow Cemeteries. There are also several Iron Age hill forts on the hill tops and lake villages on the lowlands such as Meare and Glastonbury Lake Villages. The lake villages were often connected by timber trackways such as the Sweet Track. There are several Roman sites particularly around the Charterhouse Roman Town and its associated lead mining. Some later coal mining sites are also included in the list. Two major religious sites in Mendip at Glastonbury Abbey and Wells Cathedral and their precincts and dispersed residences, tithe barns and The Abbot's Fish House also figure prominently in the list. Prehistoric defensive features such as Ponter's Ball Dyke were supplemented in the medieval period by motte-and-bailey castles such as Farleigh Hungerford, Nunney and Fenny Castle. Commercial and industrial development is represented by the Old Iron Works at Mells and various market crosses. The most recent monuments are World War II bunkers and bombing decoys on Black Down the highest point of the Mendip Hills, which also appear on the Sedgemoor list as the site crosses the boundary between the districts. Aveline's Hole a cave in Burrington Combe which is the earliest scientifically dated cemetery in Great Britain. North Somerset is a unitary authority which is administered independently of the non-metropolitan county of Somerset. Its administrative headquarters are located in the town hall of Weston-super-Mare. North Somerset has a resident population of 202,566. There are 68 scheduled monuments in North Somerset. Some of the oldest are Neolithic including Aveline's Hole, a cave which is the earliest scientifically dated cemetery in Britain, and several tumuli. There are also several Iron Age hill forts such as the one at Worlebury Camp. Dolebury Warren another Iron Age hill fort was reused as a medieval rabbit warren. The Romano-British period is represented with several sites including villas. More recent sites include several motte-and-bailey castles, such as Locking Castle and church crosses which date from the Middle Ages. There are also several deserted medieval settlements. Woodspring Priory is a former Augustinian priory founded in the early 13th century. More recent sites date from the industrial revolution and include the Elms colliery and glassworks in Nailsea. The most recent monuments are two Palmerstonian gun batteries on the island of Steep Holm. Brent Knoll Camp which has artefacts from the Bronze, Iron and Roman ages. Sedgemoor district is a low-lying area of land close to sea level between the Quantock and Mendip hills, historically largely marsh (or moor). It contains the bulk of the area also known as the Somerset Levels, including Europe's oldest known engineered roadway, the Sweet Track. There are 79 scheduled monuments in Sedgemoor. Some of the oldest are Neolithic, Bronze Age or Iron Age including hill forts, Bowl barrows and occupied caves including several in Cheddar Gorge. Cannington Camp (which is also known as Cynwit Castle) dates from the Bronze Age, while Brent Knoll Camp between the Somerset Levels and Brean Down is Iron Age (although there are some Bronze Age artefacts and it was reused in the Roman period. The Romano-British period is represented with several sites. More recent sites include several motte-and-bailey castles and church or village crosses which date from the Middle Ages. Industrial development, particularly in Bridgwater, are represented by brick and tile kilns and a telescopic railway bridge. The remains of Muchelney Abbey which was founded in the 7th or 8th century. The South Somerset district occupies an area of 370 square miles (958 km2), stretching from its borders with Devon and Dorset to the edge of the Somerset Levels. The district has a population of about 156,000, and has Yeovil as its administrative centre. There are 69 scheduled monuments in South Somerset. Some of the oldest are Neolithic, Bronze Age or Iron Age including hill forts, such as Kenwalch's Castle and Bowl barrows. The Romano-British period is represented with several sites including the Low Ham Roman Villa which included an extensive mosaic floor, now on display in the Museum of Somerset. Religious sites are represented by Muchelney Abbey, which was founded in the 7th or 8th century, and Montacute Priory, a Cluniac priory of the Benedictine order, from the 11th. Bruton Abbey was founded by the Benedictines before becoming a house of Augustinian canons. Stoke sub Hamdon Priory was formed in 1304 as a chantry college rather than a priory. More recent sites include several motte-and-bailey castles such as Cary Castle, and church crosses which date from the Middle Ages. Several packhorse bridges, such as Bow Bridge, Plox also appear in the list. The most recent monuments include the Round House, a village lock-up in Castle Cary dating from 1779. 14th century cross in the churchyard of the Church of St Mary, Bishops Lydeard. Taunton Deane has borough status. The district of Taunton Deane covers a population of approximately 100,000 in an area of 462 square kilometres (178 sq mi). It is centred on the town of Taunton, where around 60,000 of the population live and the council are based, and includes surrounding suburbs and villages. There are 33 scheduled monuments in Taunton Deane. Many of them are Neolithic through to the Bronze and Iron Ages such as bowl barrows, cairns along with hill forts such as Norton Camp. Castle Neroche was an Iron Age hill fort which was reused as a Norman motte-and-bailey castle. Burrow Mump shows evidence or Roman use but is better known as a Norman motte-and-bailey castle, and later church. It was presented, in 1946, by Major Alexander Gould Barrett, to the National Trust and serves as a memorial to the 11,281 Somerset men who lost their lives during the first and second world wars. The medieval period is represented by several churchyard and village crosses. The defensive walls and part of Taunton Castle, which has Anglo-Saxon origins and was expanded during the Medieval and Tudor eras, are included. More recent sites include Poundisford Park, Buckland Priory, Bradford Bridge and a duck decoy from the 17th century. Some of the sites such as Balt Moor Wall are of uncertain date. The most recent are air traffic control buildings, pillboxes and fighter pens from RAF Culmhead, situated at Churchstanton on the Blackdown Hills. Tarr Stepsa clapper bridge across the River Barle in the Exmoor National Park. The West Somerset local government district covers a largely rural area, including parts of Exmoor, with a population, according to the 2001 census, of 35,712 in an area of 740 square kilometres (290 sq mi). The largest centres of population are the coastal towns of Minehead and Watchet. The council's administrative headquarters are in the village of Williton. There are 202 scheduled monuments in West Somerset. Some of the oldest, particularly on Exmoor and the Quantock Hills are Neolithic, Bronze Age or Iron Age including hill forts, cairns, bowl barrows and other tumuli. More recent sites include several motte-and-bailey castles. Dunster Castle has been fortified since the late Anglo-Saxon period. After the Norman conquest of England in the 11th century, William de Mohun constructed a timber castle on the site as part of the pacification of Somerset. A stone shell keep was built on the motte by the start of the 12th century, and the castle survived a siege during the early years of the Anarchy. At the end of the 14th century the de Mohuns sold the castle to the Luttrell family, who expanded it several times during the 17th and 18th centuries. The medieval castle walls were mostly destroyed following the siege of Dunster Castle at the end of the English Civil War. In the 1860s and 1870s, the architect Anthony Salvin was employed to remodel the castle to fit Victorian tastes; this work extensively changed the appearance of Dunster to make it appear more Gothic and Picturesque. In 1976 Colonel Walter Luttrell gave Dunster Castle and most of its contents to the National Trust, which operates it as a tourist attraction. There are also several church or village crosses which date from the Middle Ages. Other sites of religious significance include Cleeve Abbey which was founded by William de Roumare, Earl of Lincoln in a grant of 1191, on land he had been given by king Æthelred the Unready. The geography with large numbers of streams is reflected by the number of packhorse, such as Gallox Bridge and Robber's Bridge, included in the list. The mining history of the area is also represented by several sections of the West Somerset Mineral Railway and associated ruins of mine buildings which are now scheduled. The most recent monuments are World War II pillboxes. The village of Dunster provides the highest concentration of monuments ranging from Iron Age forts to the castle and Yarn Market which was built around 1600. ^ a b c "The Avon (Structural Change) Order 1995". Her Majesty's Stationery Office (HMSO). Archived from the original on 30 January 2008. Retrieved 9 December 2007. ^ a b "List of Scheduled Monuments". Bath and North East Somerset Council. Archived from the original on 24 December 2013. Retrieved 9 September 2014. ^ Oswin, John; Richards, John; Sermon, Richard. "Stanton Drew 2010 Geophysical survey and other archaeological investigations" (PDF). Bath and North East Somerset Council. p. 63. Archived (PDF) from the original on 21 September 2013. Retrieved 21 August 2014. ^ Historic England. "Maes Knoll (201029)". PastScape. Retrieved 24 March 2011. ^ "Wansdyke Project 21". Wansdyke Project 21. Archived from the original on 7 March 2015. Retrieved 7 September 2014. ^ "The Roman Baths". Bath and North East Somerset Council. Archived from the original on 15 August 2010. Retrieved 7 September 2014. ^ Historic England. "Palladian Bridge in grounds of Prior Park (443307)". Images of England. Retrieved 20 July 2009. ^ Historic England. "Dundas Aqueduct (314745)". Images of England. Retrieved 10 September 2006. ^ a b "A Portrait of Mendip" (PDF). Mendip District Council. p. 1. Archived from the original on 4 January 2014. Retrieved 9 September 2014. ^ Historic England. "Priddy Circles (197570)". PastScape. Retrieved 15 April 2011. ^ Historic England. "Group of seven round barrows 380m east of East Water Drove (Part of Priddy Nine Barrows Cemetery) (1010506)". National Heritage List for England. Retrieved 13 April 2014. ^ Historic England. "Ashen Hill barrow cemetery: a group of eight round barrows 500m southeast of Harptree Lodge (1010513)". National Heritage List for England. Retrieved 13 April 2014. ^ Historic England. "Pair of bowl barrows 405m east of East Water Drove (Part of Priddy Nine Barrows Cemetery) (1010503)". National Heritage List for England. Retrieved 13 April 2014. ^ "Glastonbury Lake Village". Somerset Historic Environment Record. Archived from the original on 3 October 2016. Retrieved 18 November 2007. ^ "Iron-age settlement (Meare West), Meare". Somerset Historic Environment Record. Somerset County Council. Archived from the original on 3 October 2016. Retrieved 10 February 2011. ^ "Iron-age settlement (Meare East), Meare". Somerset Historic Environment Record. Somerset County Council. Archived from the original on 3 October 2016. Retrieved 10 February 2011. ^ Elkington, H D H (1976). "The Mendip Lead Industry". The Roman West Country: Classical Culture and Celtic Society: 183–197. ^ "Mendip Hills An Archaeological Survey of the Area of Outstanding Natural Beauty" (PDF). Somerset County Council Archaeological Projects. Archived (PDF) from the original on 16 May 2011. Retrieved 16 January 2011. ^ a b "Earliest British cemetery dated". BBC. 23 September 2003. Archived from the original on 8 August 2007. Retrieved 5 January 2010. ^ "Changing population" (PDF). North Somerset Council. Archived (PDF) from the original on 11 September 2014. Retrieved 9 September 2014. ^ Worrall, D. H.; Surtees, P. R. (1984). "Flat Holm – an account of its history and ecology". South Glamorgan County Council: 18–19. ^ "The day the Sweet Track was built". New Scientist, 16 June 1990. Archived from the original on 11 March 2010. Retrieved 26 October 2007. ^ "Brent Knoll hill fort, Brent Knoll". Somerset Historic Environment Record. Somerset County Council. Archived from the original on 3 October 2016. Retrieved 19 January 2011. ^ "An introduction to South Somerset" (PDF). South Somerset District Council. Archived (PDF) from the original on 29 November 2014. Retrieved 9 September 2014. ^ "Scheduled Monuments". South Somerset Council. Archived from the original on 11 September 2014. Retrieved 9 September 2014. ^ "Museum of Somerset opens!". Victoria County History. Archived from the original on 11 September 2014. Retrieved 9 September 2014. ^ "Montacute Priory". Somerset Historic Environment Record. Somerset County Council. Archived from the original on 3 October 2016. Retrieved 2009-07-12. ^ Pantin, W. A. (1959). "Chantry Priests' Houses and other Medieval Lodgings" (PDF). Medieval Archaeology. Society for Medieval Archaeology. 3: 219–224. Retrieved 16 December 2013. ^ Byford, Enid (1987). Somerset Curiosities. Dovecote Press. p. 16. ISBN 0946159483. ^ Historic England. "The Round House (1056279)". National Heritage List for England. Retrieved 21 March 2014. ^ a b "Demographics". Taunton Deane Borough Council. Archived from the original on 16 October 2007. Retrieved 25 April 2009. ^ "Area: Taunton Deane (Local Authority): Key Figures for Physical Environment". Neighbourhood Statistics. Office for National Statistics. Archived from the original on 29 July 2014. Retrieved 25 April 2009. ^ Historic England. "Norton Camp (189007)". PastScape. Retrieved 26 March 2011. ^ Historic England. "Castle Neroche (190295)". PastScape. Retrieved 22 March 2011. ^ "Burrow Mump, Burrowbridge". Somerset Historic Environment Record. Somerset County Council. Archived from the original on 3 October 2016. Retrieved 4 October 2010. ^ Historic England. "Remains of Church on Burrow Mump (1344609)". National Heritage List for England. Retrieved 2 March 2014. ^ Dunning, Robert (1983). A history of Somerset. p. 101. ISBN 0-85033-461-6. ^ Leete-Hodge, Lornie (1985). Curiosities of Somerset. Bossiney Books. p. 82. ISBN 0-906456-98-3. ^ Bush, Robin (1994). Somerset: The Complete Guide. Dovecote Press. pp. 202–206. ISBN 1-874336-26-1. ^ Berryman, David (2006). Somerset airfields in the Second World War. Countryside Books. pp. 50–86. ISBN 1-85306-864-0. ^ "Culmhead airfield, Trickey Warren". Somerset Historic Environment Record. Somerset County Council. Archived from the original on 3 October 2016. Retrieved 2009-07-25. ^ "Community Profile". West Somerset Council. Archived from the original (PDF) on 25 June 2013. Retrieved 9 September 2014. ^ "West Somerset (Local Authority): Key Figures for Physical Environment". Neighbourhood Statistics. Office for National Statistics. Archived from the original on 29 July 2014. Retrieved 23 April 2009. ^ Explore the Garden Archived 23 October 2011 at the Wayback Machine, National Trust, accessed 24 September 2011; Dunster Castle Archived 8 September 2014 at the Wayback Machine, Parks and Gardens UK, Parks and Gardens Data Services Ltd., accessed 9 July 2011. ^ Leete-Hodge, Lornie (1985). Curiosities of Somerset. Bossiney Books. p. 43. ISBN 0-906456-98-3. ^ Harrison, Stuart A. (2000). Cleeve Abbey. English Heritage. p. 24. ISBN 1-85074-760-1. ^ Historic England. "Yarn Market (264694)". Images of England. Retrieved 28 August 2007. ^ Historic England. "Yarn Market (1173428)". National Heritage List for England. Retrieved 6 June 2014. ^ "Brief History of Dunster". Dunster Tithe Barn. Archived from the original on 20 November 2008. Retrieved 26 May 2009.